The New Tie that Bind Us: The Future is Calling! The year I was born, I am told, was a year of reinventing the world. In France, 1968 is remembered as one of the greatest years when 10 million workers occupied the factories that they worked in. The year - 2011 - will also go down in history as the year when citizens in America took to the streets and non-violently occupied Wall Street. Tahrir Square in Egypt is now a household name known as the place where people took over and toppled a dictator. In India, one man's fast in 2011 brought millions onto the streets and the government to its knees and won decisive action to end corruption. The Greek citizens spent the year protesting unfair cuts to public spending. The Spanish citizens and huge number of their "indignados" defied a ban on pre-election demonstrations and mounted a protest-camp in Sol square to speak out against political corruption and the government's handling of the economic crisis. The Arab spring metamorphosed Gaddafi from ‘King of Africa’ to ‘fugitive of Africa’ and now – ‘the former Gaddafi’. 2011 also saw Mubarak being wheeled in a court room on a hospital stretcher to face his trial. As the Civicus Report says: “indeed 2011 was the year of dissent, in which apathy became unfashionable and seemingly unassailable dictators and systems were challenged. In at least 88 countries we saw different forms of mass citizen action. The origins and motivations of dissent are complex, but the roots of 2011’s protests were interconnected: protest was driven by the inability of states to address the fallout of the economic crisis, making serious income inequalities and corruption more acute, and compounded by demographic shifts giving rise to more urbanized, unemployed, frustrated young people. The internet, mobile and social media played a vital role in catalyzing civic action, both as an organizer of physical protest and as a civic space in its own right”. The state’s response to the economic crisis can be seen as impinging on the fundamental social contract between state and citizens, and protest can be understood as a way of citizens re-asserting the power to negotiate a new social contract. Indeed the civic action we saw in 2011 was part of civil society action but not even predicted by the civil society organizations that many of us work with. The rise of citizen action also saw the rise of state push back and this is happening in both democratic and authoritarian states as evidenced from the discussions in this AGM. There are legal and extralegal measures being taken by states to intimidate or cause harm to civil society personnel to deter them from carrying out their work. As I speak now in Uganda – there are organizations that are under the threat of closure, in fact one - organization is closed - and a human rights defender from one of our member organization in a remote district in Eastern Uganda has been evacuated out of Uganda for her safety. In this week alone I have reports that two events have been stopped by state operatives in two districts in Uganda. There are also several attempts to introduce repressive laws to regulate CSOs. Between 2007 and April 2011 thirty five governments across Africa have either passed or are about to pass several pieces of legislation restricting activities and the very existence of CSOs. The trend is even more troublesome when considered that in about 20 of the cases, the pieces of legislation are similar in content. The book by Trust Africa – (Dis)enabling Environment documents comprehensively some of the abuses and concerns on the continent. Is the future calling for CSOs? If Gandhi's chronology of 'first they ignore you, then they laugh at you, then they fight you, then you win' is anything to go by, the Robin Hood Tax campaign is getting close to its goal. When it was launched two years ago, the idea of taxing the banks was unimaginable; now it's taken giant leaps towards reality. 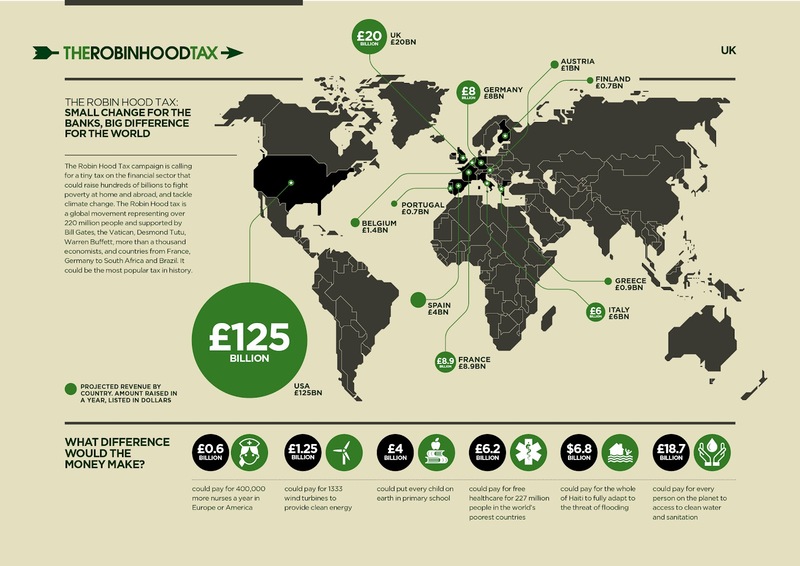 As the the G8 leaders meet today and tomorrow in Camp David, campaigners from around 30 countries around the world have been carrying out a series of events for the Robin Hood Tax Global Week of Action to remind leaders that the time for a Financial Transaction Tax is now. The Robin Hood Tax campaign has been staggeringly successful in several respects. When the idea began to surface in 2010 – Gordon Brown’s intervention at the G20 Finance Ministerial in the fall – it was obviously an old one in some ways: John Maynard Keynes first proposed a transactions tax in 1936 and James Tobin had suggested a currency transactions tax in 1973. But the relatively recent rapid growth of the derivatives market meant that the call for a Robin Hood Tax or Financial Transactions Tax (FTT) was qualitatively new, especially because for the first time it would be not just a market regulator – as Keynes and Tobin had proposed – but a major money-spinner. And as the IMF have reported, at least 16 of the G20 economies have had some form of FTT in place over the last decade or two. The call for a full-blooded FTT – shares, derivatives, currency – was initially slammed by the IMF, the Financial Times (mostly by omission), and many commentators. But our massive popular appeal (a global movement representing over 220 million people, and majority support in polls across western Europe) got us through the front door of the media, governments and international institutions. And it's not just popular support, over a thousand economists have backed the idea including Joseph Stiglitz and Jeffrey Sachs. The idea continued to gain support with Bill Gates, the Vatican, Archbishop Rowan Williams, Kofi Annan and Ban Ki-Moon all signing on. Two major multilateral institutions, the IMF and the European Commission, have been converted from slamming the idea as unrealistic to admitting that it is feasible and progressive. And as concern over speculation has grown, those worried about such things have become more supportive (most recently UNCTAD (see Roy Culpeper’s blog), who have backed an FTT to tackle commodity speculation, following UNAIDS lead last summer). The European Parliament, the French, German and Spanish Parliaments have all recently carried resolutions supporting an FTT. So has Brazil’s, the joint ACP-EU Parliamentary Assembly, and Francophone African Finance Ministers. The Governments of Austria, Belgium, Bolivia, Brazil, Finland, Greece, Italy, Luxemburg, Slovakia, Spain, and South Africa are also in favour. At international events on development or climate change (such as today’s G8 meeting and the upcoming Rio Conference) there will be Robin Hood tax campaigners present, and this month’s Global Week of Action follows on from earlier events in May 2010 and February 2011. Not everyone is convinced, and there are still arguments to be had about how to implement an FTT and when, rather than whether such a tax is feasible or not. Some people won’t support an FTT until those technical details have been ironed out, while others accept that – as with almost every other tax – those are questions to be determined once the principle has been adopted and the tax piloted. So here’s the timetable. Today and tomorrow G8 leaders will meet in their annual summit; four out of the eight countries there support the tax. This is followed by the G20 and Rio+20 Summit. Following this, at the end of June, Finance Ministers from across Europe will meet to start taking this idea from discussion to reality. As the global economy continues to struggle, all eyes will be on world leaders to fix the system at these upcoming meetings and by curbing casino capitalism Robin Hood taxes will help do that, in addition to raising tens of billions to help the world's poorest people. So where does Canada stand? Canada opposes the idea not because it isn’t feasible – which it is. Not because it would distort markets – which it wouldn’t. Not because some traders in the Canadian stock market aren’t supportive – which they are. Not because the money isn’t needed – such a tax could generate $650 bn globally (see chart below) for development and climate finance, potentially filling the gap in recent Canadian aid cuts or helping fight poverty at home. They oppose it because of three letters: t-a-x. It is up to all of us to make enough noise to ensure whatever tax they agree is ambitious enough, with the revenue raised going to good causes to ensure any new tax is worthy of the name Robin Hood Tax. We can't win the war and lose the battle. It will take 2012 and maybe 2013 for those taxes to be introduced, and a couple more years before it becomes clear enough that the sky has not fallen for other governments to realise either that they now have cover to be brave, or reason to catch up. As an economic storm once again threatens to engulf the world economy, all eyes will be on world leaders to fix the system; by curbing casino capitalism Robin Hood taxes will help do that, in addition to raising tens of billions to help the world's poorest people. Ideas this good don’t come along every day. And when they do, they’re too powerful to ignore. This blog was written by Robin Hood. The opinions expressed are his own, and do not necessarily reflect the views of CCIC or its members. It’s Fair Trade Fortnight, May 1st to 15th, the fair trade movement’s version of International Development Week, only twice as long! On Saturday, May 12th, we’ll be celebrating World Fair Trade Day. These are not just Canadian events, but “universal”, with North American and “Down Under” activists taking the cue (or queue) from Britain and Europe. However, never let it be said that Fair Trade is not coming of age here in Canada and that, with a minimum of funding but a history of perseverance, significant inroads are being made commercially and institutionally in awareness of fair trade issues and acceptance of fair trade products. In just a few words of definition, the Fair Trade system guarantees a fair price to agricultural and factory/workshop workers as well as artisans in developing countries ensures that their workplaces are safe, often includes organic certification and always cooperative production, focuses on issues of transparency, democratic governance and gender equality, and pays a premium that supports community improvements, such as schools, clinics, training and equipment. 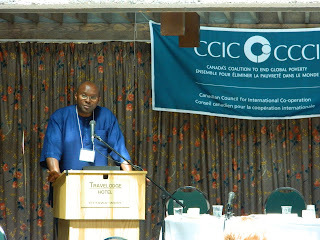 Fair Trade Certified products have a third-party audit/inspection process (see Fairtrade Canada ), while “direct fair trade” has less formality but connects to the efforts of groups here in Canada, with Ten Thousand Villages being the largest example, working with overseas communities on their development priorities. The World Fair Trade Organization reports that fair trade sales now top $5 Billion, benefiting almost 10 million producers and workers worldwide. While still a niche market in the overall commercial scheme of things, fair trade sales are growing worldwide by over 20% annually. The number of fair trade products available in Canada is growing noticeably as new Canadian companies come on board and European imports reach our shores, beyond the usual coffee, tea and chocolate – to many more food products, clothing, sports balls and more. In our country, a major initiative is underway to create fair trade campuses, with UBC and Simon Fraser signed on and more to come, much of the groundwork being done by Engineers without Borders campus chapters. There are now fifteen Fair Trade Towns in Canada, a far cry from the hundreds in Great Britain but many of our metropolitan areas are currently working on making this a reality in the near future. 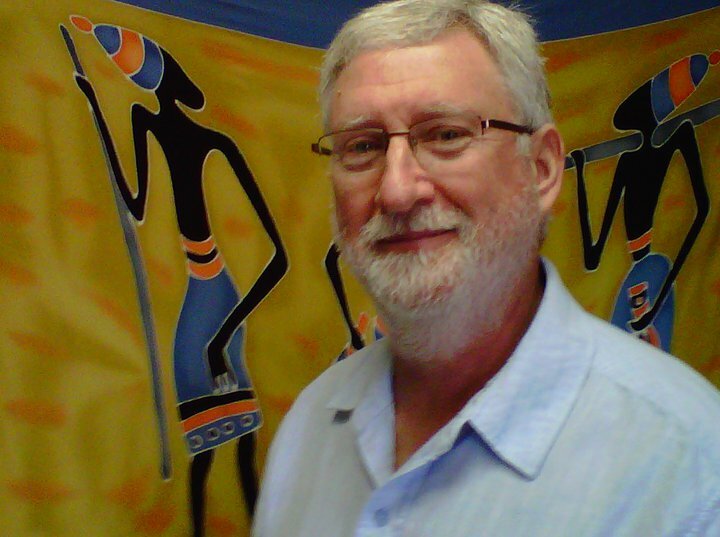 In Manitoba, the Manitoba Council for International Cooperation’s Fair Trade Manitoba program has created a “Fair Trade Event” designation and recently bestowed this recognition on the large, popular, venerable Winnipeg Folk Festival. Of course, the best news is the growing availability of Fair Trade Certified (FTC) wines and other liquor products! In Manitoba, thanks to the leadership of the MB Liquor Control Commission, over 30 FTC wines are now available from cooperatives in Chile, Argentina and South Africa, representing the beginnings of change in an industry that in the past has spread poor social health instead of strong human wealth in producer countries. Other large procurers, such as municipalities, school divisions, casinos, government departments, campuses, museums and credit unions are also taking up the challenge. And public opinion is with us too! A Probe Research Survey of 1000 Manitobans which was just done in April for MCIC and funded by the Manitoba Government’s Entrepreneurship, Training & Trade Department, showed that two-thirds of Manitobans want to buy fair trade products even if the price is on average 10% higher than conventional brands. As well, it showed that over half of Manitobans would like to see fair trade products available in local restaurants. The social, economic and environmental benefits to developing country communities and the global citizenship impacts of fair trade initiatives on consumers in Canada have been documented. Green Bean Coffee Imports, Manitoba’s only Fair Trade Certified fair trade roaster, recently worked with groups in British Columbia – with Crossroads International acting as an intermediary, having had a longstanding economic development project with fair trade producers in Bolivia – to import a container of green coffee beans. This has benefited a struggling young company in Manitoba, several more in BC, and the Coaine Coffee Co-op in Bolivia. My own experience is with villages around Mwanza City in northwestern Tanzania where previously impoverished communities have moved to a point of what one Canadian development worker termed “middle class”. Longstanding support from Canadian NGOs helped artisans to improve their craft through South-South exchanges, training in the business side of craft making (bookkeeping, storage, marketing, shipping), and networking with buyer groups around the developed world. These entrepreneurial, cooperative initiatives, coupled with successes in local agriculture, have made a huge difference in people’s lives. There are challenges, too. Supply is an issue as our world revolves around large scale availability of product. One still can’t easily order 5000 FT t-shirts and expect immediate delivery, as we experienced when trying to field a request from Manitoba Lotteries. Fair trade needs to scale up, but needs greater security in the marketplace before it can do so. I first got involved in fair trade in the ‘80s when the only food product available was (really bad) Bridgehead Coffee, vacuum packed in the shape of a brick. We also had baskets and other crafts supplied by partner organizations in East Africa. Only a few people shopped for these products. Today, we can sit down with Cabinet Ministers, school division superintendents and business CEOs and talk credibly about policies and practices in fair trade. We’ve come a long way, especially in the past five years. Fair Trade Fortnight’s theme this year is Take a Step for Fair Trade so let’s celebrate those steps, and each of us commit to taking more! Post written by Zack Gross, Fair Trade Outreach Coordinator, Manitoba Council for International Cooperation. Against the backdrop of ancient mosques, 2,400 people from across the globe – mostly women from the East and global South – gathered at the Association for Women's Rights in Development (AWID) 12th International Forum in Istanbul, Turkey, for four days to discuss and debate how to transform economic power to advance women's rights and justice. From the opening plenary’s powerhouse of speakers to in-depth sessions designed to deepen understanding of the global economy, the message was clear – the economy is a woman's issue. Current models of economic growth have not resulted in greater freedom or equality for women. In fact, they have hurt women most. Rebecca Grynspan, United Nations Under-Secretary-General, highlighted findings from the recently released World Development Report, which this year focused on Gender and Development. She pointed out that economic growth has not resulted in increased equality, and that current economic crises are deepening inequality. These trends threaten to reverse any gains made in poverty reduction or equality over the past decade. While there appears to be consensus that the current economic system is not working, we heard a wide range of suggestions for alternative economic models: from the need to include 'time poverty' indicators alongside income poverty , to the need to integrate paid and unpaid work in the same indicator. There was lots of talk of the 'caring economy' and the need to measure it. There was also an equally passionate plea from Marilyn Waring, iconic feminist, political economist and past Director of the Reserve Bank of New Zealand, to not commodify all aspects of our lives or rely on the central committee approach to come up with an alternative economic model to GDP. On the first day of the forum, Gita Sen, Adjunct Professor in Public Health at Harvard University, called on feminists to take the time to learn about how the economy functions and to better understand economic policy and its impact on our work and our lives. "Economics is not brain surgery – it is something we can all understand,” she said. “We cannot leave economic policy to those who do not have our interests at heart. We need to learn it and use it." And so we did. From geopolitics and the global economy to grassroots solutions, an incredibly diverse group of academics, organizers, economists, bureaucrats, non-profit leaders and philanthropists immersed themselves in four days of lively debate and discussion. We examined the role of multilateral development banks and were told powerful stories by frontline activists of successful local organizing. We heard about alternatives that empower women and increase their access to resources, such as lending circles for widows in Indonesia that present an alternative to microcredit, and indigenous organizing against land grabs in Guatemala. We also heard about the impact of the financial crisis on funding – Official Development Assistance and European and U.S. foundation assets are all down. And according to AWID's latest FundHer Report, although everyone seems to be talking about women and girls – governments and corporations alike – there is very little funding actually going to women and girls. Very little of what is being allocated is core funding. Organizations are more precarious than ever. The median annual income of the 740 women's organizations that responded to the FundHer survey was a paltry $20,000 U.S., and the 2010 combined income of these 740 organizations amounted to 106 million U.S. – one third of Greenpeace's annual budget. Musimbi Kanyoro, President and CEO of the Global Fund for Women, suggested that women collectively take up the call "Nothing about us without us" and that we begin to hold corporations and leaders to account. If they talk about women and girls, then they need to fund women and girls. Some bright spots were reported. The Dutch government continues to be a model, having invested over 200 million euros in direct funding for women's organizations. Individual giving is up too. The Women Moving Millions Campaign, chaired by a Canadian, has had 150 women pledge at least $1 million to women's organizations. The conference ended with a spectacular march down the main pedestrian shopping street in Istanbul , a perfect place to highlight the many challenges and contradictions facing women today. In a country with a growing economy, where only 25 per cent of women work outside the home, women and men from across the globe came together and, surrounded by police, laughed and danced and chanted, and demanded economic justice and equality for women. I was fortunate to attend the conference along with a dozen Crossroads partners, an inspiring group of women from West and Southern Africa who are involved in grassroots economic development initiatives. In a day of debriefing following the conference, partners reported that they felt full, empowered and inspired and that there was a lot more work ahead of us. Indeed! This post was written by Karen Takacs, Executive Director at Crossroads International, and first published in Crossroad International's blog. We thank Karen for permission to re-publish on CCIC's blog.